love the heart decal in the office! 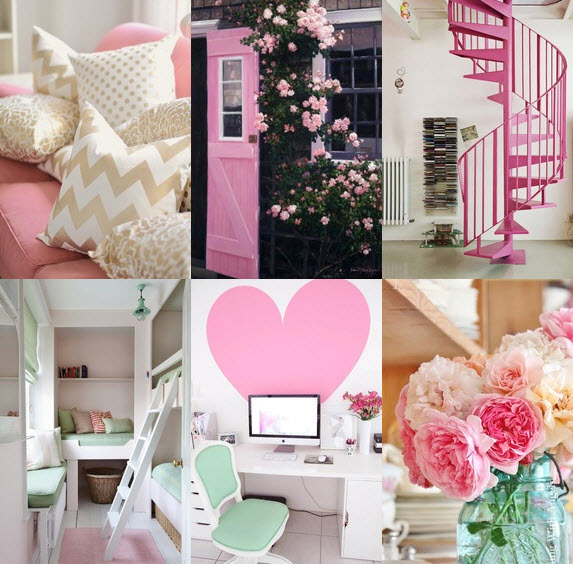 ohhhh I LOVE pink and this proves why. Love everything. Want everything!! I want my design area to look exactly like the 5th image! Mint+pink is beautiful!